Last year our design team had the opportunity to meet with several of the brightest designers at the 2012 International Builders Show. As a result of this meeting, our team came away with numerous ideas for new open concepts that fit perfectly with our 1,400 to 1,500-square-foot homes. Our goal was to create a variety of plans that live and feel comfortable. We want our homeowners to be able to interact, entertain, play, and eat all in one area as a family. Through combining the living area functions, these plans feel more expansive. In addition to the open living area concept, we have almost doubled the size of the back porch to accommodate for greater outdoor living space. 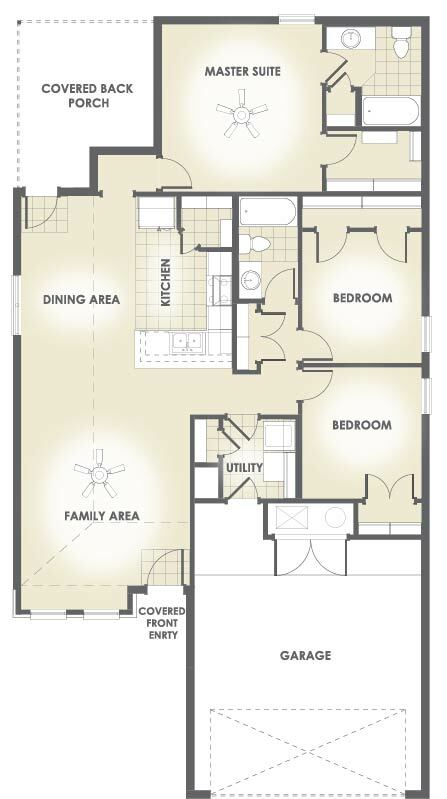 To illustrate this, below is a floor plan from the 1,400-square-foot family. To further emphasize the connection between the outdoors and indoors, these plans come standard with a full-view glass door so entertaining can move seamlessly from inside to outside. 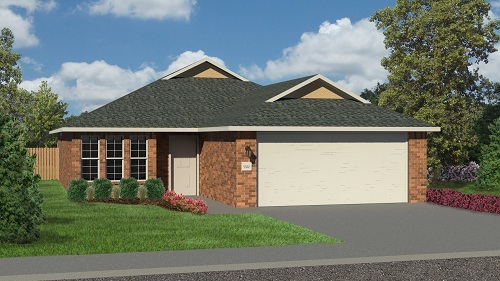 These plans also have nice curb appeal, below are several renderings of homes in the 1,400 to 1,500-square-foot family. 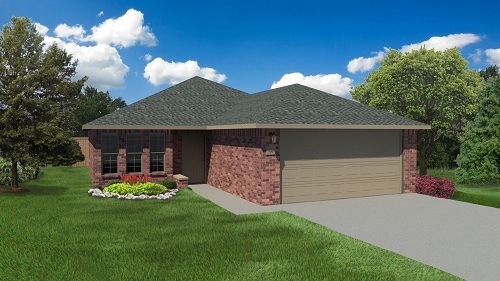 To see these homes for yourself, head over to Springfield and Quincy Park in Lubbock. More information on all homes in this family can be found on our website.